The goal of the Alamo Council Shooting Sports Committee is to provide a safe quality opportunity to introduce our youth to the shooting sports and the variety of opportunities for growth related to shooting sports. Current BSA policy requires Both a Certified Instructor AND Range Safety Officer (RSO) be present at shooting activities. Note that RSOs are not instructors and cannot be Merit Badge Counselors. The Shooting Committee does not have a formal responsibility to train Instructors and RSOs but does try to offer NRA Instructor and RSO training several times per year when volunteers are available to support the effort. 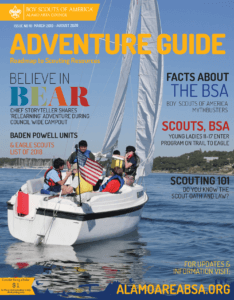 Pistol Shooting has been added as a sport for Scouts BSA and Venturing but no Merit Badge has been established at the time of this publication.